Wouldn’t you know it! My day off and I’m laid down with man-flu! Spent most of the day in bed gazing out at the rather heavy, grey and melancholy skies over the castle. It doesn’t feel like summer, but it does add to the moodiness of the place. Eilean Donan’s mood seems to change with the movement of the seasons, the changes in the weather, the time of day, and the ebb and flow of the tides. People often comment on the Facebook page about the huge variety of different photographs of the place. Anyone who knows the west coast will tell you about the wonderful quality of light we enjoy up here, and there’s no doubt the whole area is a photographers dream, but today is a day to be inside with the comfort of a log fire! I was telling you yesterday about the archaelogy work that we’re doing, focussing on the history of the medieval castle. 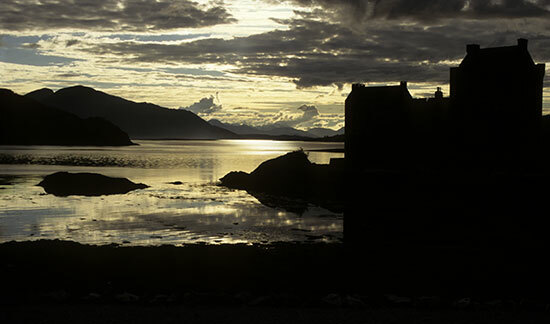 In actual fact Skye & Lochalsh had 10 castles in the period between the 12th and 15th century. Today, all but two lie in desolate ruin, Eilean Donan and Dunvegan, but visitors to the region can still explore the remains of some of the lesser known structures. Back then, these fortifications were the hub of social, political and economic order for a society whose allegiances were shaped by family and kin. Such families were identifiable by surnames like MacRae, MacKenzie, MacLeod, MacAskill, MacDonald, MacLennan and MacKinnon. If you’re feeling adventurous and have the time, it’s very worthwhile seeking them out. Many of the regions most idyllic spots and best kept secrets are off the main tourist track. If you’re interested, then a particularly good book to help locate them and inform you is The Mediaeval Castles of Skye & Lochalsh. Happy hunting. It’s time for a Lemsip and an early night, but before I go, I’d just like to say a huge thank you for all the input and messages of support for the blog. I’ve been surprised, amazed and truly touched by some peoples reactions. Thank you. So day three of the new Eilean Donan Blog, and I’m desperately trying to figure out what on earth people might want to hear about!? How do I keep this thing fresh and interesting without boring you all to death? It’s a very different kettle of fish to the Facebook page which seems to have struck a chord with lots of people and is very straightforward to manage. I suspect this thing might require a lot more time and effort for a start! Do I write about historical stuff, day to day things, projects that we’re pursuing, funny tales, a mix of it all, or something else? I’d be very happy to hear any views you might have, and feel free to give me a steer if I go off on the wrong track! I’ll also use this blog to answer any questions you might have about Eilean Donan. The team and I spend a lot of time answering visitors questions, so we’re quite used to it. Please don’t be shy! We’re just approaching the busiest time of year with 70-75,000 people coming to us in July and probably 100,000+ in the month of August. This represents well over 50% of our total annual visitors, so it’s a really important time for us. Not all will actually go inside the castle as bus tours tight itinerarys don’t always allow sufficient time to do so. Many people just want to stop for a photo, have a cup of coffee and a slice of cake, or sit on a quiet rock and enjoy the amazing views. About half our visitors will actually venture inside the castle walls and enjoy everything it has to offer. At the moment, the public have access to about 60% of the inside, and every year we try to open up a little bit more. When Johnny MacRae first opened up the castle to the public back in the early 80s, visitors could only access 2 rooms, the Billeting Room and the Banqueting Hall, so we’ve come a long way since then. We have plans afoot for the next stage of development, with new areas being opened up, but more of that later. We’re also in the third year of our Archaelogical project, investigating the medieval stage of the castle. The original castle was made up of 7 towers connected by a huge curtain wall, encompassing the whole island. At high tide, it would have given the appearance that the entire castle emerged straight from the sea. It must have been an impressive and forboding sight. Preliminary investigations have been very encouraging with remains of towers and walls that we never new about being uncovered. Although we’ve had to temporarily cover them back up, it’s hoped that with some conservation work, we will eventually be able to display everything we’ve found and re-instate some of the earthworks for public access. A variety of artefacts have been found too including jewllery, medieval gaming pieces and suchlike.The next planned dig is scheduled for October, and the Trust is committed to the project for the forseeable future. Anyway, the word count thingy at the bottom of the page is telling me I’ve gone over 500 words, so I’m going to stop now. More soon. These 320,000 people are looked after by just 50 staff at the height of the season, in August, encompassing Ticket Office, Castle Guides, Coffee Shop and Gift Shop. Our youngest member of staff is just 16, and our oldest 81! Thousands of people comment on how warm a welcome they receive when they visit, and I guess that’s down to the fact that the team is more like a large extended family; in fact we’re often referred to as “The Castle Family”. Over the next few months, I’ll try and give you a flavour of some of the differing personalities within this family! We’re all employed by “The Conchra Charitable Trust” ; a non-profit-making organisation which was established back in the 1980’s by the MacRae family, the owners of Eilean Donan. This is the same family that were responsible for the reconstruction of the castle back in the 1920’s after the castle had been left in ruins after it’s destruction in 1719. The primary role of the Trust is to conserve, preserve and restore the castle for the nation and for future generations of visitors. The Trustees also feel very strongly about ensuring affordable access for all, and it is this policy that keeps our admission prices as some of the lowest in the country when viewed against other comparable establishments. The head of the family, as well as Clan MacRae, is Mrs Marigold MacRae and although she doesn’t live permanently in Eilean Donan, she is frequently to be found chatting to visitors milling around the castle. For those of you that know the area well, a wee note of interest is that Mrs MacRae’s 5 daughters were fondly referred to locally as “The Five Sisters of Kintail” as children. 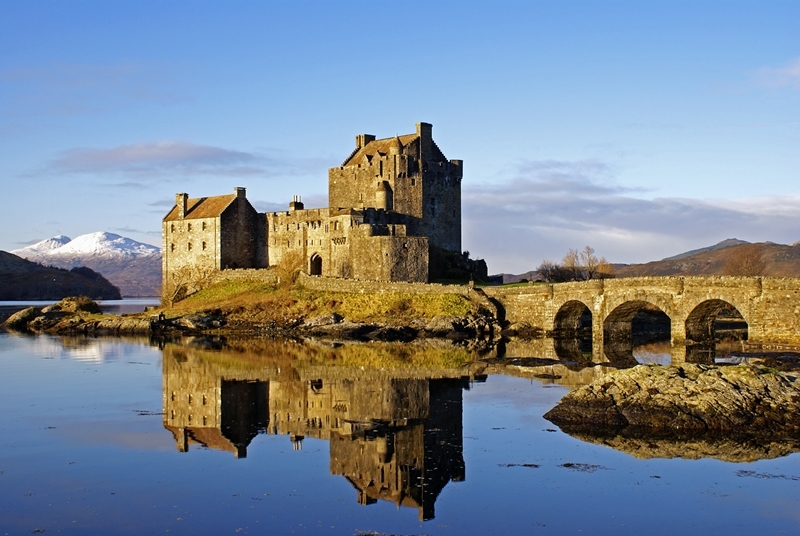 The name Eilean Donan itself has two disputed meanings. The word “Eilean” is Gaelic for “Island” which is accepted. The word Donan is thought to originate from the fact that Bishop Donan was the first person to settle on the island when he set up a monastic cell back in 620AD. 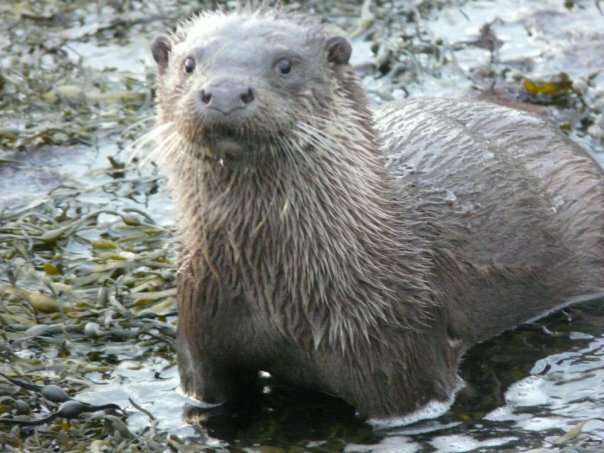 However “Donan” is also Gaelic for “small brown dog” or otter, and the island and surrounding coastline has a very healthy population of otters. So, Eilean Donan “Island of Donan” or “Island of Otters” ? You decide which one you like best, but sit on a quiet rock early in the morning or early evening and there’s a good chance you’ll spot one of them……. I’m very fortunate to be employed by the Conchra Charitable Trust as Castle Keeper of Eilean Donan Castle, perhaps the most romantic castle in Scotland and certainly one of the most photographed. I’ve been at Eilean Donan for around 5 years, and am frequently asked to provide more information on the comings & goings at the castle. Following the success of the Facebook page that we launched last year, I have somewhat reluctantly agreed to start a Blog on this much loved Scottish icon. To be honest, I have absolutely no idea what type of information I will post on here, and have even less idea if anyone is interested in my inane ramblings, but I will honestly strive to give those of you that are interested, a taste of life at Eilean Donan, whom my wife calls ” the other woman”.